ALREADY HAVE (OR HAD) A REAL ESTATE LICENSE? Mac can provide the Required Courses (If Any) and Prep Materials and Tests - Home Study, Reasonable Cost. Please Click the ALL COURSES Tab Above for All the Details. 6. Following Payment, you will be fully enrolled. Materials links will be emailed to address provided. Please put bruce@macrealestate.com in your email "safe" senders list and address book - to receive Enrollment Confirmation, Instructions and Interactive Study Materials. How Did You Find MacIntosh R/E School? Name of Company or Referrer (or Other Comments). Please verify the Information you've entered above (you may change anything you like), and review the Terms of Enrollment below. MacIntosh Real Estate School - Enrollment Agreement & Current Course Catalog (vol. 24 - 2016) I. PROGRAM COST/COURSES/MATERIALS/COMPLETION CERTIFICATE TOTAL PROGRAM COST $ 399.00 (Tuition & ebook Materials) As the Applicant (herein referred to as "Student",) I hereby make application to the MacIntosh Real Estate School Broker Correspondence ("Home Study") Program. I am aware that the Educational Program consists of home–study (correspondence) ebook materials sufficient to fulfill requirements of the Colorado Revised Statutes, the Colorado Real Estate Commission, and the Colorado Department of Higher Education Private Occupational School Board, for: 48 hours Real Estate Law and Practice; 48 hours Colorado Contracts and Regulations; 24 hours Real Estate Closings; 8 hours Trust Accounts and Record Keeping; 32 hours Practical Applications; 8 hours Current Legal Issues.  168 Total Hours  Interactive study materials are delivered online by method of hyperlinks to School servers. In addition, ebook review materials are included within the MacIntosh Real Estate School Study and Examination Guides. This enrollment includes the MacIntosh online/downloadable Prep Exams, which may only be taken upon fulfillment of the course requirements and passage of the final exams for the six required courses (above). Training begins on the effective date of enrollment, (the date student is accepted by the School, below.) The Student agrees that he or she will fulfill the course requirements for the above–specified hours and make reasonable effort to complete the course in compliance with the rules and regulations of the school and abide by those same rules. The school may suspend or withdraw any student for immoral or improper conduct, insufficient progress through courses (failure of course exams), or a lack of reasonable effort. The school reserves the right to be the sole judge of such conduct which may be detrimental to the school. Upon satisfactory completion of the course materials by the student, passage of all required exams according to the instructions of the school, and upon fulfillment by student of the terms of this agreement, the school will issue a certificate of completion. The certificate of completion will be given only if the above requirements are completed within eight (8) months following effective date of enrollment. An extension of this time period may be obtained by requesting in writing. (See EXTENSION and RE–ENROLLMENT POLICY, below.) The undersigned hereby acknowledges receipt of this contract and a copy of the current school catalog. II. PREREQUISITES for ENROLLMENT License Law requires an applicant for a real estate license to be 18 years old. This is not a requirement to attend the school. Licensed attorneys, former Colorado Brokers and Salespeople and licensees from other states are eligible to bypass one or more classes. MacIntosh Real Estate School offers all these configurations, together with license exam preparation. For more information about the Colorado Real Estate Commission and Broker licensing, please click MacIntosh website link, "All Courses". III. FEES The fee for the initial 168 credithour online/correspondence course and materials is $399 payable by credit card in advance of receiving the course materials, or Student Login information and interactive study links from the School. (The fee may be changed at any time, without notice.) Course materials (books) are non-refundable. Enrollment may be completed by paying the full cost of the tuition. Payment shall be made in full at the time of enrollment and registration. The real estate school will not issue to the Real Estate Commission a certification of Completion until tuition is paid in full. 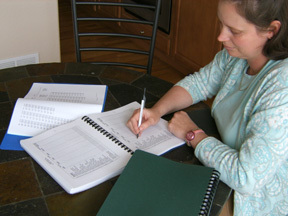 Each course is selfcontained and is completed by selfscheduled, correspondence study. Click to PRINT the above Enrollment Agreement. I certify that I have received and read the MacIntosh Real Estate School Enrollment Agreement and Current Course Catalog (above), that I understand the content thereof, and agree to abide by the rules contained therein, that I have printed or saved a copy of the same for my records; and I am Lawfully Present in the U.S. I am aware that this acknowledgment constitutes a legal electronic signature, and that the Current School Catalog and this contract contain all warranties and agreements, and there have been no oral promises or agreements made between MacIntosh Real Estate School and myself that could vary or alter the terms of this written agreement." Click to Digitally Sign and Submit Enrollment Agreement. Enrollment is not complete and you will not be able to commence studies until payment is received. If a new window does not open to pay, you should temporarily reduce your browser's Security Settings. Or WE WILL GLADLY PROCESS YOUR PAYMENT OVER THE PHONE. Please EMAIL or Call 303-902-1842 and leave a message.